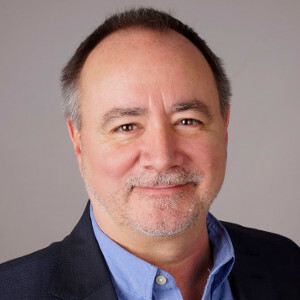 Today’s organizations see safety as a value that drives many initiatives including Safety Management Systems (SMS), Just Culture, Behavior-Based Safety (BBS) and Human and Organizational Performance (HOP). 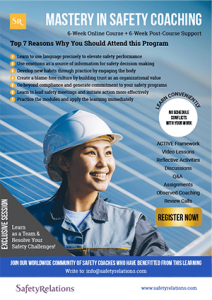 Irrespective of the methodology you have adopted and the industry you are in, one thing common to all safety development initiatives is learning and change. That is why organizations have invested in countless hours of safety training. Safety training is essential to generate awareness of procedures and technical aspects of safety. However, a less commonly used method of learning is safety coaching, which focuses on helping people see safety differently. By combining the benefits of both training and coaching, organizations can generate superior safety performance. This program fits very well with your busy work schedule. There are no fixed schedules or live meetings with the coach. The program duration is six weeks, and there is a learning objective for every week. You only have to dedicate approximately one hour per week for virtual learning, and that can be at your convenience. Because of the nature of the topic, the rest of the work is practicing what you have learned, and that happens by integrating the concepts into your daily work. You will communicate your progress with your coach, who will be of assistance to you. 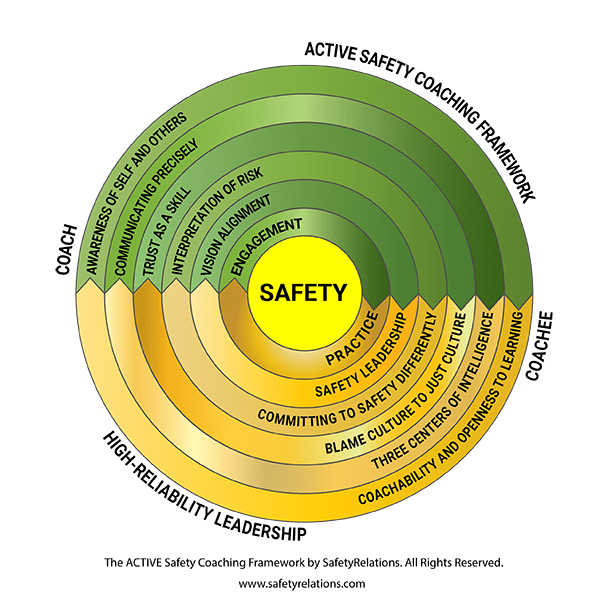 One of the key requirements for becoming a great safety coach is a robust coaching framework. 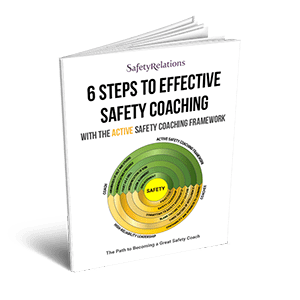 We have developed a 6-step safety coaching framework (Awareness, Communication, Trust, Interpretation, Vision and Engagement) which allows coaches to lead the process of coaching in a structured way. For the coaching intervention to be successful, the coach needs to consider many elements within each step. Coaching is a not a one-time event and changes in the coachee happen in incremental steps through multiple iterations. Exclusive Sessions for Organizations! Learn as a Team and Resolve Your Safety Challenges!